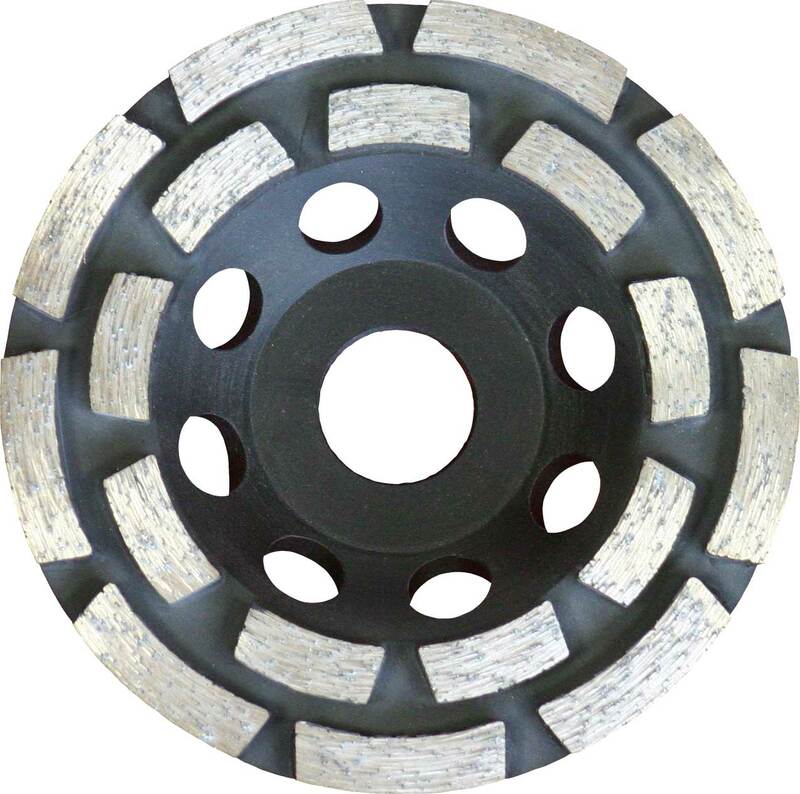 Application: These diamond grinders are for use on angle grinders to smooth and shape concrete and most stone types. (For hard stone , eg marble, choose a turbo segmented disc.) 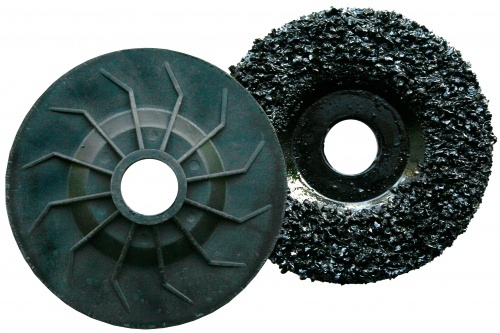 The double row pattern helps the grinding disc sit flat on the surface, whilst the spacious gullets resist loading up. 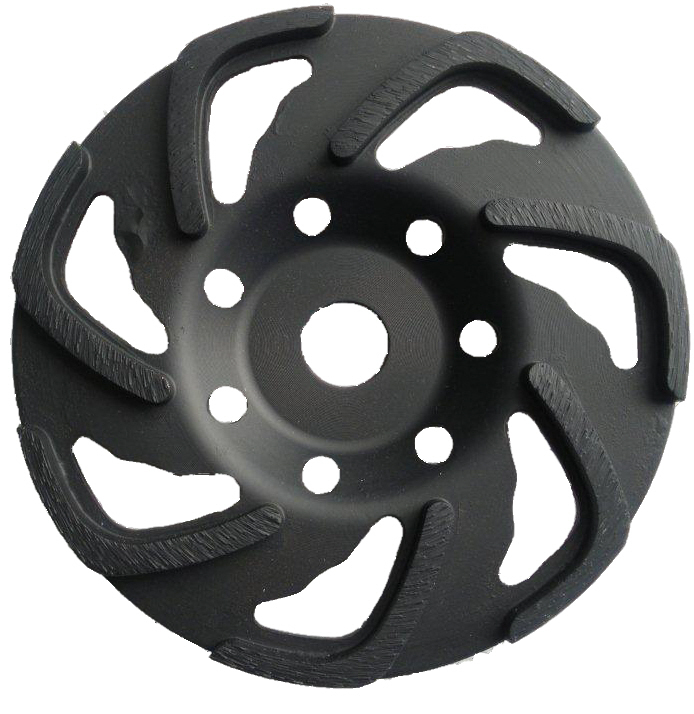 The 115mm size can be used on 115 and 125mm angle grinders, whilst the 180mm size is recommended for 230mm (9 in) grinders. 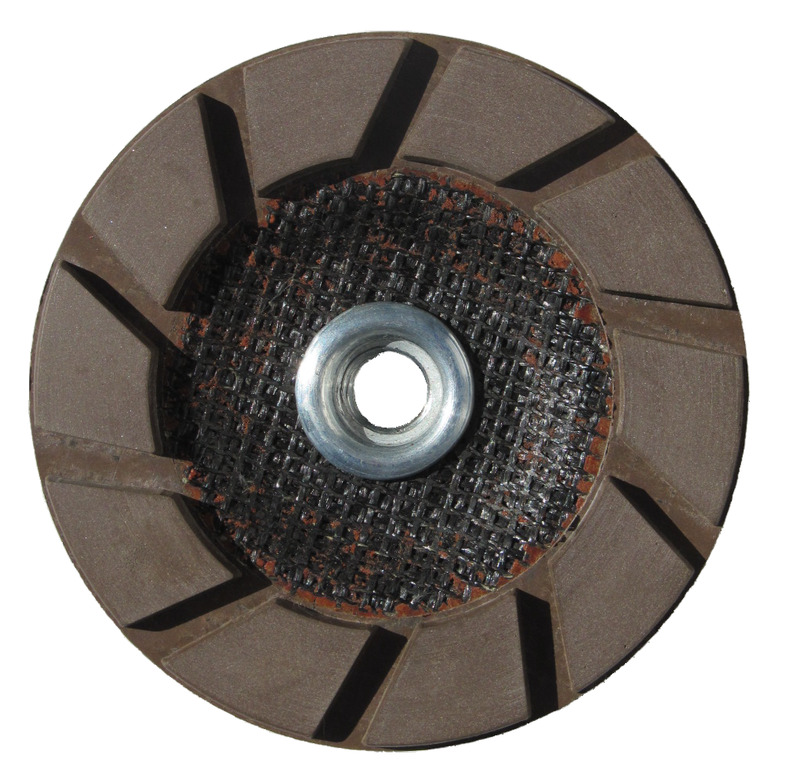 Double row of diamond segments for fast, controlled grinding. 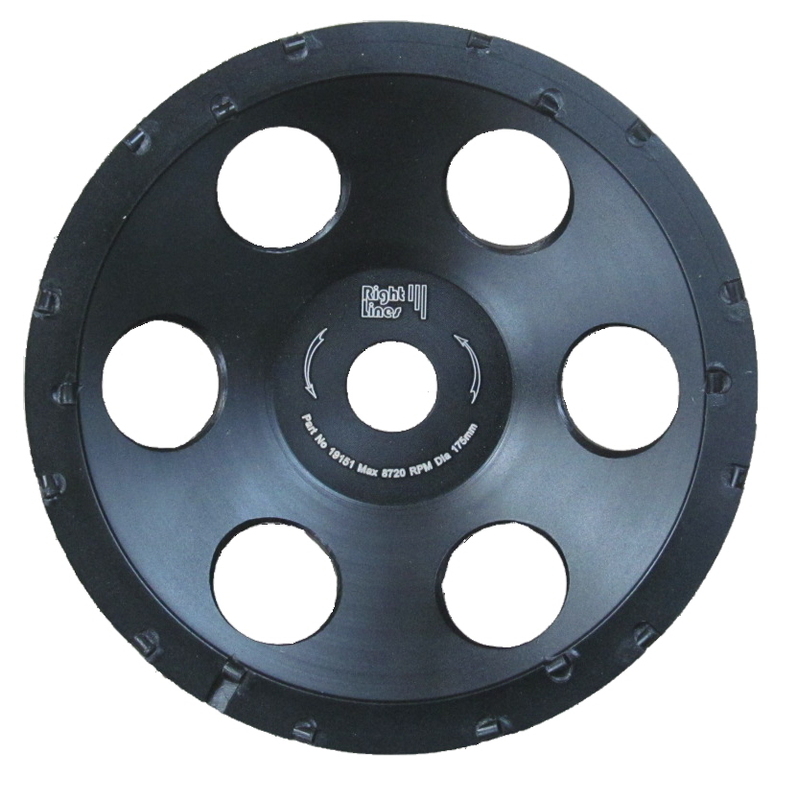 Available in 115mm dia for 115mm and larger grinders and 180mm for 180mm and 230mm grinders. Open segment layout reduces risk of loading/clogging. Generous 5mm deep diamond segments for long life. Also Available: For smooth finishes on concrete floors L grinders are available from 125mm and larger.